Coach Vic Fangio said Sanders is "progressing well" in his rehab from a torn left Achilles, Zac Stevens of BSNDenver.com reports. 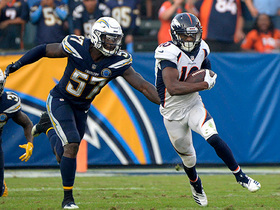 The Broncos have exercised their contract option on Sanders (Achilles), guaranteeing $1.5 million of his $10.15 million base salary for 2019, Mike Klis of 9News Denver reports. Sanders relayed via his personal Twitter account Sunday that trainers have told him he's "wayyy (sic) ahead of schedule" in his recovery from a torn Achilles. 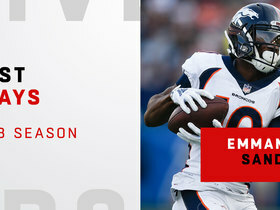 General manager John Elway confirmed the Broncos will exercise Sanders' (Achilles) contract option for 2019, Adam Schefter of ESPN reports. The Broncos haven't asked Sanders (Achilles) to take a pay cut and are expected to keep him under contract for 2019, Tom Pelissero of NFL.com reports. Sanders (Achilles) posted Tuesday on his personal Twitter account that he isn't interested in restructuring his contract ahead of the 2019 season. Sanders (Achilles) is no longer wearing a walking boot on his injured foot but is moving around with a "slight limp," Zack Kelberman of CBS 4 Denver reports. Sanders (Achilles) caught 71 of 98 targets for 868 yards and four touchdowns during an injury-shortened 2018 campaign. He added 53 yards and a touchdown on four carries and threw a 28-yard touchdown pass during the season. Sanders (Achilles) is confident he will be ready for Week 1 of 2019, saying Monday, "I'll be making plays for somebody," Ryan O'Halloran of The Denver Post reports. 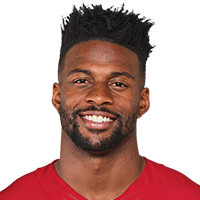 Sanders (Achilles) had successful surgery Thursday and is now facing a rehab timeline of 6-to-8 months, James Palmer of NFL Network reports. The Broncos placed Sanders (Achilles) on injured reserve Wednesday. Analysis: The transaction confirms that Sanders suffered a torn left Achilles' tendon during practice earlier in the day. He'll undergo season-ending surgery and will be taken off the 53-man roster, opening up a spot for veteran wideout Andre Holmes, whom the team claimed off waivers Wednesday. With Sanders sidelined, Courtland Sutton and DaeSean Hamilton now profile as the Broncos' top wideouts. The Broncos believe Sanders suffered a torn left Achilles' tendon during Wednesday's practice, Adam Schefter of ESPN reports. Analysis: The report comes through about 20 minutes after the injury occurred, so there's obviously still testing to be done before a diagnosis is revealed. However, the initial test for a torn Achilles is usually accurate, and there were multiple reports of Sanders reacting in a manner that hinted at a serious injury. If the initial expectation is confirmed, the 31-year-old wideout would miss the rest of this season and face a challenging path to make it back for the 2019 opener. Sanders was injured during Wednesday's practice and was unable to put any weight on his left leg while requiring assistance off the field, Nicki Jhabvala of The Athletic reports. Analysis: Troy Renck of Denver 7 News relays that Sanders was visibly upset after going down with the injury, tossing his helmet to the side while pointing at his lower left leg. It's too soon to arrive at any conclusions, but there's no doubt the situation will need to be carefully monitored in the coming hours. The Broncos aren't exactly teeming with wideout depth; the cast behind Sanders is led by rookies Courtland Sutton and DaeSean Hamilton as well as 2017 undrafted free agent Tim Patrick. 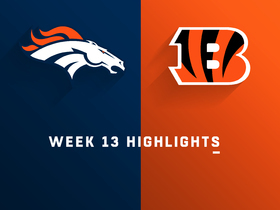 Sanders caught four of six targets for 19 yards during Sunday's 24-10 win over the Bengals. Sanders (heel) doesn't carry an injury designation into Sunday's game against the Bengals, Zac Stevens of BSNDenver.com reports. Analysis: Sanders remained limited in practice Friday after the heel injury restricted his reps a day earlier, but his lack of designation heading into the weekend indicates the Broncos aren't worried about his health. The wideout should be on tap for a full slate of snaps and rates as a quality lineup option in just about any format after registering seven catches for 86 yards and a touchdown across 12 targets in the Broncos' Week 12 win over the Steelers. Sanders was limited at practice Thursday by a heel injury, Aric DiLalla of the Broncos' official site reports. Analysis: Normally a mid-week addition to the injury report like this would be a concern, but so far Sanders' current issue is being downplayed. "It's just soreness," coach Vance Joseph said of the wideout's limitations Thursday. "We're just taking it slow and being smart, that's all." In any case, we'll circle back on Sanders' status Friday to see if he ends up with an official injury designation in advance of Sunday's game against the Bengals. Sanders caught seven of his 12 targets, amassing 86 receiving yards and one touchdown during Sunday's 24-17 win against the Steelers. Sanders caught four of six targets for 56 yards and carried one time for an additional six yards during Sunday's 23-22 win over the Chargers. Analysis: Sanders tied for the team lead in targets and broke off a 38-yard gain at one point, though he failed to do much with the rest of his touches. He has now topped out at 57 receiving yards over the last three games and hasn't scored a touchdown since Week 7. Sanders will look to get back on track against the Steelers next Sunday. Sanders was on the field for 61 of the Broncos' 66 offensive snaps in Sunday's 19-17 loss to the Texans, finishing the day with six receptions for 47 yards on nine targets. Sanders corralled six of nine targets, totaling 47 receiving yards during Sunday's 19-17 loss to the Texans. 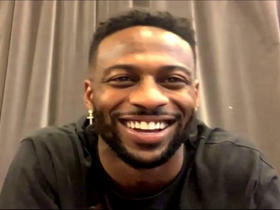 Denver Broncos wide receiver Emmanuel Sanders reacts to his team's 2019 schedule. Watch Denver Broncos wide receiver Emmanuel Sanders' best plays from his 2018 season. 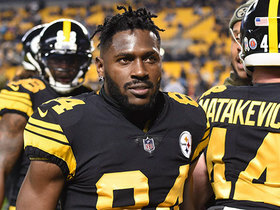 NFL Network Insider Ian Rapoport breaks down what the Pittsburgh Steelers could ask for in a potential trade involving wide receiver Antonio Brown. 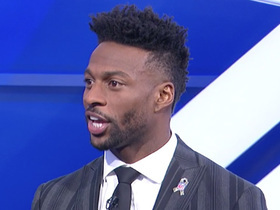 NFL Network Insider Ian Rapoport talks further about Denver Broncos wide receiver Emmanuel Sanders' torn Achilles injury which will keep him out for the season. Denver Broncos quarterback Case Keenum floats a pass to his wide receiver Emmanuel Sanders for 38 yards. Denver Broncos wide receiver Emmanuel Sanders catches a 5-yard touchdown pass from his quarterback Case Keenum. Denver Broncos wide receiver stays on his feet for a 38-yard catch. 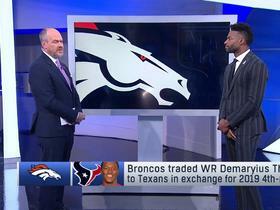 Denver Broncos wide receiver Emmanuel Sanders gives his thoughts on wide receiver Demaryius Thomas being traded to the Houston Texans. 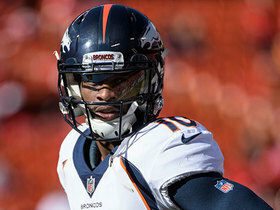 Denver Broncos wide receiver Emmanuel Sanders discusses the toughest teams he has faced so far this season.